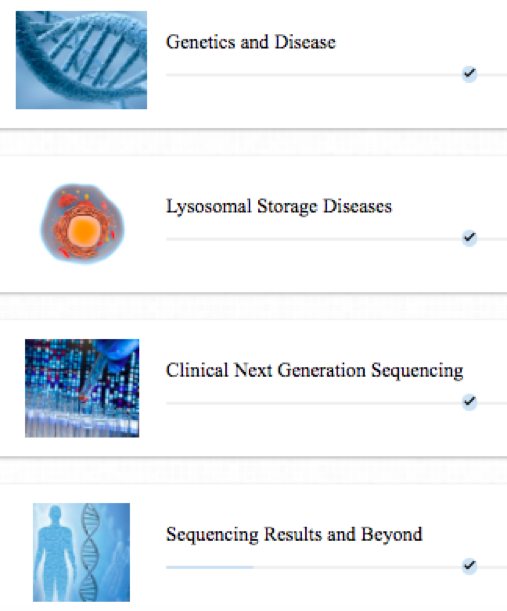 Rare Genomics Institute said today it successfully diagnosed a previously undiagnosed patient using Genomenon’s Mastermind Genomic Search Engine. The announcement, timed to coincide with Rare Disease Day 2019, comes four months after the partners launched a collaboration in which Genomenon agreed to donate licenses allowing clinical scientists working with Rare Genomics Institute to access Mastermind. Rare Genomics’ Rare Gene Superheroes, a free online course for patient advocates, is live! Los Angeles, C.A., February 18th, 2018. Rare Genomics Institute (RG) is happy to give some love and support to patient advocates worldwide during this holiday weekend. Romina Ortiz, COO and VP of Patient Advocacy was the grateful recipient of Sanofi Genzyme’s 6th annual Patient Advocacy Leadership (PAL) Awards for 2016. For this award, RG created an online training course for patient advocates in the genetics space, particularly for those working in diagnostics and serving undiagnosed rare disease patients. This course will be used to train future Patient Advocate Associates at RG. In partnership with Dr. Harsha Karur Rajasimha and his team from Organization for Rare Diseases India (ORDI), materials on two Lysosomal Storage Diseases: Niemann-Pick and Tay-Sachs were produced, as well as the translation of all material to Hindi. Los Angeles C.A., February 05, 2018 – Rare Genomics Institute (RG) today announced the peer-reviewed publication of conclusions from their Amplify Hope Study in the Interactive Journal of Medical Research (IJMR). The paper, Engaging a Community for Rare Genetic Disease: Best Practices and Education From Individual Crowdfunding Campaigns, discusses their findings from the program created to help rare disease families crowdfund to pay for needed genetic testing. Thanks to generous funding from the John Templeton Foundation, this program was developed and delivered for rare disease families free of charge. Partners on the project included two life sciences technology leaders: Ambry Genetics and Baylor Miraca Genetics Laboratories, and three leading pioneers in crowdfunding: CrowdRise, Indiegogo Life and YouCaring. The John Templeton Foundation serves as a philanthropic catalyst for discoveries relating to the deepest and most perplexing questions facing humankind. We support research on subjects ranging from complexity, evolution, and emergence to creativity, forgiveness, and free will. We encourage civil, informed dialogue among scientists, philosophers, and theologians, as well as between such experts and the public at large. In all cases, our goal is the same: to spur curiosity and accelerate discovery. Nov 7-8, 2017, D.C.: Thank you Terrapinn for supporting our attendance at your conference. We had our own COO and VP of Patient Advocacy speak about the tremendous burden of being an undiagnosed rare disease patient, and why all stakeholders need to work to meet the needs of these patients and support their diagnostic journey to achieve their diagnosis and accelerate their path to treatment! Below are a few takeaways collected by her. Washington, D.C., October, 2017. Rare Genomics Institute (RG) utilizes RareShare, an online social hub for those affected by rare medical disorders. The RareShare website, www.Rareshare.org was relaunched in February 2017 to coincide with Rare Disease Day, with the long-term goal of becoming the #1 aggregator of information about rare disorders on the Web. • RareShare membership has reached 10,170 registered users, an increase in membership of 27% since its relaunch in February. • 5,062 of these users have been active since the Feb. 28th relaunch and of those, 58% are new and 42% are returning. • Most users are based in the United States and English-speaking countries such as the United Kingdom, Canada and Australia. 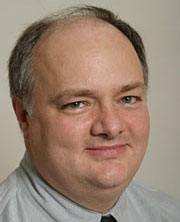 However, the website also has a strong international presence from countries such as India, Spain, Colombia and Italy. In addition, rare disease patients on RareShare have the option to register with the CoRDS registry at Sanford Research (currently 3,883 participants across various organizations) and be contacted at a later date when a study is organized for their particular disease. Clinical trial registration grants current patients access to cutting edge treatments, while also aiding the approval process for life-transforming treatments for future generations. Each RareShare disease community includes a landing page curated by scientists at RareShare and reviewed by experts within the medical and academic communities. RareShare also produces a newsletter that is distributed to all members several times a year. The “Ask the Experts” podcast features scientists, patient advocates and clinicians answering community questions and offering strategies for rare disease management - all available free through iTunes. “The relaunch of RareShare.org and the newsletter have revitalized interest in our website for both new and continuing members,” Chan said. “This, in turn, has energized our RareShare volunteers to produce new rare disease informational content such as podcasts and updated disease summaries”, he added. RareShare’s five most recent podcasts have accumulated over 1,100 downloads. Podcast transcripts will be compiled into an ebook for future reference by community members. RareShare is equipped with a current team of 22 volunteers, who have renewed their commitment to update disease-specific information on the site and to actively engage with its members belonging to 987 different communities. RareShare volunteers continue to receive member inquiries and make referrals for support within other parts of the organization. Moving forward, RareShare will continue to reach out to outside organizations for collaborations that serve its members. RG is a 501(c)(3) non-profit that makes cutting edge research technologies and experts accessible to rare disease patients. Partnering with top medical institutions, RG helps custom design personalized research projects for diseases so rare that no organization exists to help. By providing an expert network, RG helps families source, design, and fund personalized research projects in diseases not otherwise studied. Ultimately, RG aims to expand on its current genome sequencing-focused approach to enable support for whatever type of research is necessary to get closer to rare disease therapeutics. 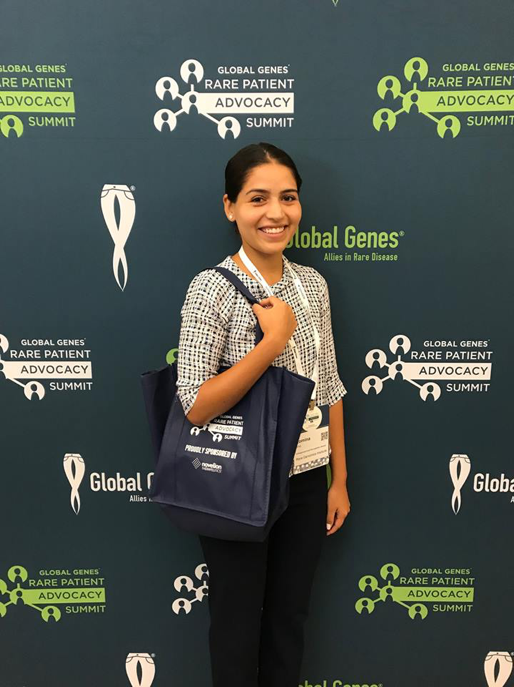 Thank you Global Genes for supporting our attendance to your Rare Patient Advocacy Summit by granting us a scholarship! Thank you Global Genes for supporting our attendance to your Rare Patient Advocacy Summit by granting us a scholarship! Below are a few highlights we got from attendee Romina Ortiz, COO and VP of Patient Advocacy. The meeting kicked off by speakers from leading genetic sequencing laboratories, Illumina, Hudson Alpha Institute and Broad Institute. All three speakers talked about the benefit of whole exome and whole genome sequencing, and the push for insurance coverage to make this test accessible to patients. Ryan Taft, Senior Director of Scientific Research at Illumina, announced that as of November 2017, there will be a significant increase in insurance coverage for WES and that there are already 6 insurers now covering WGS! Annette Bakker, President of the Children’s Tumor Foundation, described their work for Neurofibromatosis (NF) patients. They foster a NF-specific clinical network, a patient registry, a biobank, promote open data, have developed a tailored Pharma Kit, and started an education and awareness campaign called Patients Help Doctors (PHD). They highlight the success of cross-funding, where multiple funders work together to fund multiple programs. The Alliance for Regenerative Medicine (ARM) explained how patients with a rare disease-associated gene may produce too much or not enough of a protein, and how a therapy can be made to balance those protein levels. Disorder: The Rare Disease Film Festival has selected thirty films to show at their seven scheduled screenings in Cambridge, MA this October. These films address life with over two dozen rare diseases. Most, but not all, are documentaries and they range in length from 1 minute to 65 minutes. "The power of bringing together film, science, and rare disease families leads to renewed hope for all those given a one in a million diagnosis,” says Gareth Burghes, director of the film “Life & Atrophy”. “Disorder is a film festival that finds the common ground on rare diseases, empowering all those affected." See below for a case series on the treatment of Hailey-Hailey disease (HHD) with low-dose naltrexone hydrochloride published in JAMA Dermatology. HHD is a rare, genetic dermatosis, which despite various treatment options, is difficult to control. The 3 patients examined exhibited at least an 80% reduction in extent of Hailey-Hailey disease after treatment with low-dose naltrexone. No adverse events were recorded with treatment. This study follows a review from Rare Genomics Institute examining the potential of low-dose naltrexone as a treatment option for patients with HHD. Los Angeles, C.A. June 19, 2017. Rare Genomics Institute (RG) is the grateful recipient of RARE Bears from RARE Science Inc., a non-profit organization that helps find cures for kids with rare disease. The hand-made teddy bears are scheduled to be shipped today to 13 undiagnosed and rare disease children who have received free clinical Whole Genome Sequencing through the Rare Genomics program. This includes US-based families that reside in the states of Wisconsin, Massachusetts, Florida and California, as well as international families that live in Canada, Chile, The Netherlands, Hong Kong and Australia. Each RARE bear is customized for each child recipient. To develop the bear design, families are asked to provide vital information about the child recipient including their age, favorite color and top hobbies. “Now thanks to RARE Science we can give our kids a tangible gift, a bear that is unique to them, special just like they are. We just want to make them smile.” said Romina Ortiz, MHS, COO and VP of Patient Advocacy, who is leading this operation for Rare Genomics Institute. As the children receive their gifts in the mail, we have asked the parents to send back photos with the bears. RARE Science and Rare Genomics will publish these beautiful photos and stories across social media outlets as they are shared. We hope that this will provide more awareness to the tremendous need these families have and give hope to other families just starting their journey to achieve a diagnosis and cure. RARE Science accelerates finding therapies for kids with rare and undiagnosed disease by empowering patient families/foundations with tools that help with community awareness and patient outreach through our RARE Bear Program. We also drive research by pooling knowledge and providing research tools for specific diseases so we can understand the biology that is responsible for the observable traits of rare disease. This helps identify therapies that may help in the more immediate future. We unite patient families, clinicians and researchers across the globe to accelerate finding cures for the most vulnerable patients, our children! Our RARE Bear Program plays an instrumental role in patient family support. In addition, the RARE Bears help us with patient outreach, education and awareness to improve early diagnosis and support our research programs to help accelerate finding cures for kids with rare disease. The non-profit Rare Genomics Institute (RG) helps provide rare disease patients with access to cutting-edge molecular biotechnology and analytical expertise with the potential to uncover new directions for research, treatment, and support. As volunteer analysts for RG, we analyzed the exome sequence data of patients with as-yet undiagnosed diseases with a suspected underlying genetic cause.